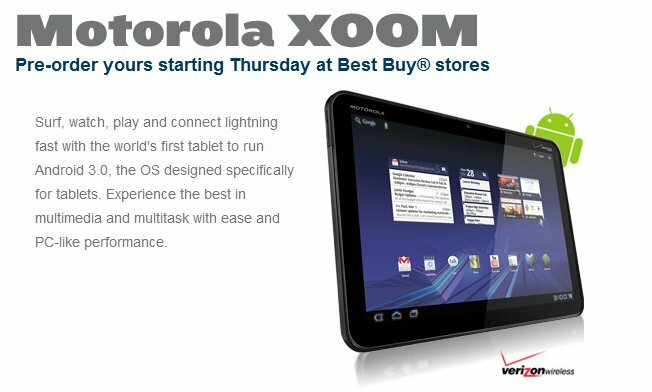 The Motorola XOOM site has gone live at BestBuy.com/Xoom and the world has officially come to an end, or at least that’s what my inbox is telling me. The device is showing a price of $1199 and as far as I know, it’s not a mistake, at least for now. Our sources at BBY have been telling us this number for a week now, but we’ve avoided it as the price likely won’t be anywhere near its 24th launch date. 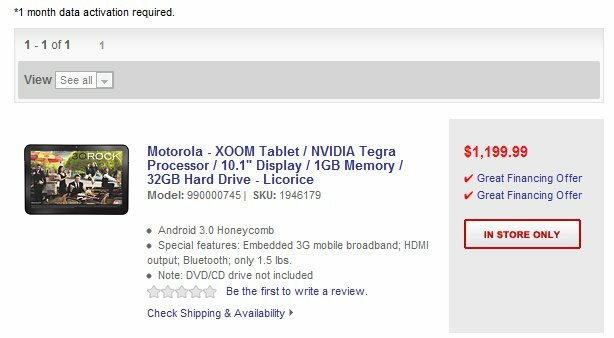 Update: BestBuy.com/Xoom is now a dead page. Whoops!